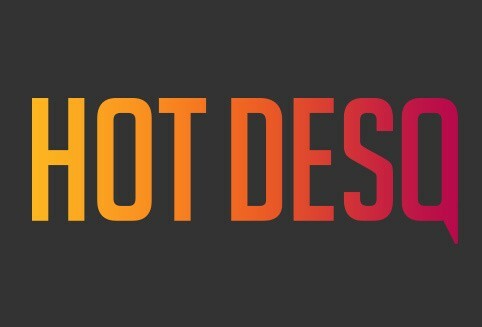 With the HotDesQ round 3 applications open at the moment, if feels like the right moment for us, ex-HotDesQ’ers, to recap why every startup should apply for this amazing opportunity. Obviously the financial grant will be one of the main reasons for a lot of people, but there are many more that deserve the same level of attention. Let’s check them out. 1. You will launch fast. And we mean really fast. One week after arrival, we got everything set up with the great support of the HotDesQ team. The company was up and running before we knew it, and we were ready to explore the Australian market. Even the jet lag took longer. And that was just the beginning of how fast things went for Ziggu. The Australian real estate market was desperately in need for a solution to tackle their customer follow-up challenges. The difficulties that real estate developers face were exactly the same as in Europe, so Ziggu Engage couldn’t arrive at a better moment. After only one month in Brisbane, we already got some clients willing to participate in the beta of Ziggu Engage. Brisbane is the perfect location for any startup that has fast growing and international ambitions. Your first stop will be Brisbane itself, with more than 2 million people waiting to try your product. Next stop are the other cities in Australia. Brisbane offers quality flying connections between all of the major city hubs so flying to Melbourne, Sydney and other cities feels like a breeze. And if that is not enough, try Asia. The Asian market is almost around the corner when you are located in Brisbane. You can easily hop on a plane and fly to Singapore, Beijing, Shanghai, and many more and be there in no time. What struck us the most was how dynamic and driven the startup community is in Brisbane. You will work in places that are just packed with talented people, striving for the same thing as you: building something great. You will feel inspired by the people you meet and the stories you hear. One of those people we met was a 16 year old entrepreneur living in a rural village, selling holographic applications to some of the biggest companies in Singapore. We must say, we were impressed. So connect with the locals. Their ambition and drive is extremely contagious and their willingness to help you with almost anything indispensable. It can be tough sometimes to find the right people. Luckily for us, we didn’t have any of those difficulties being located in Brisbane. Being part of this amazing community they have set up, made it very easy for us to find the right people. So no need to worry about finding the perfect developer or sales person, you will find them in Brisbane. Being an entrepreneur can be overwhelming sometimes, but thankfully for us, Australians know how to help you with this. They have carefully mastered the work/life balance, and they should be damn proud of it. Having a ‘barbie’ with a cold beer after a hard day’s work is imprinted in the Aussie DNA. Not convinced? Connect with the locals, and see for yourself. Do you want to unwind in nature? Hop in your car and drive in no time to one of the amazing beaches or forests that are just omnipresent in Australia. No better way to feel refreshed and be prepared for the next day. Want to know more about Ziggu Engage? Go to our website or leave a comment below and we will get right back at you!